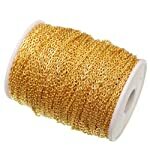 Genuine gold filled cable chain, fine & lightweight. 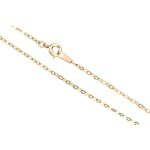 The most popular use for this style of chain is to make necklaces and long dangly earrings. 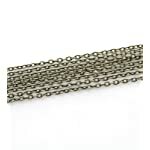 Measurements: Each link is approximately 1.5mm wide and 2mm long. 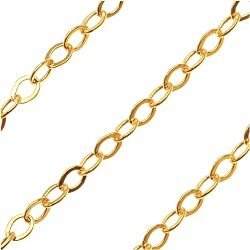 The wire that forms the links is flattened, for more sparkling light-reflective quality. Quantity: (1) Sold by the foot. The number you order is the number of feet of chain you want. NO clasps or jump rings included. All cut chain sales are final. We are not able to accept returns or process refunds of cut chain. 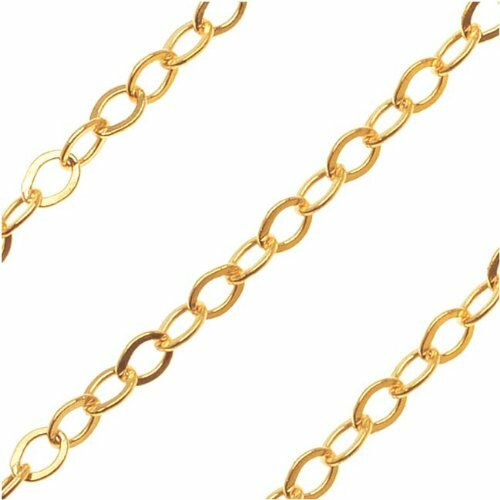 Please check description for measurement details so you are assured you are ordering the right size chain for your project.